In Hub Central, you have the ability to create a username and password to access an OData service that is specific to your Qorus implementation. Within this OData feed, you'll find tables that contain detailed information around user activity, collaboration and content usage, including searches and inserts. In this article, learn how to setup OData access and use it in Excel or in Power BI to explore your data in ways that meet your particular business requirements. PLUS, as a bonus, we have a Power BI template ready for you to use and customize to suit your reporting needs. You can download it here. 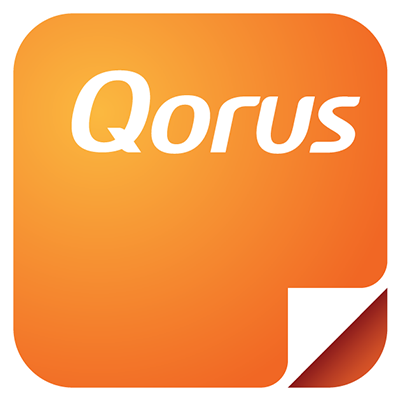 Please note that only users belonging to the Qorus Admin role have the ability to setup OData access. Now that you've setup OData access, you can use it in Excel, Power BI, or any other analytics software that supports OData, to create your own custom reports. To learn more about working with OData in Excel, click here. Connecting your OData feed to Power BI is very similar to the way it works in Excel. To learn more about Power BI and how to use it, visit the Power BI learning center here. You might also want to download the Odata Feed Data Dictionary, to understand the terminology used and what actually gets recorded for each different activity we log. Click here to download it.